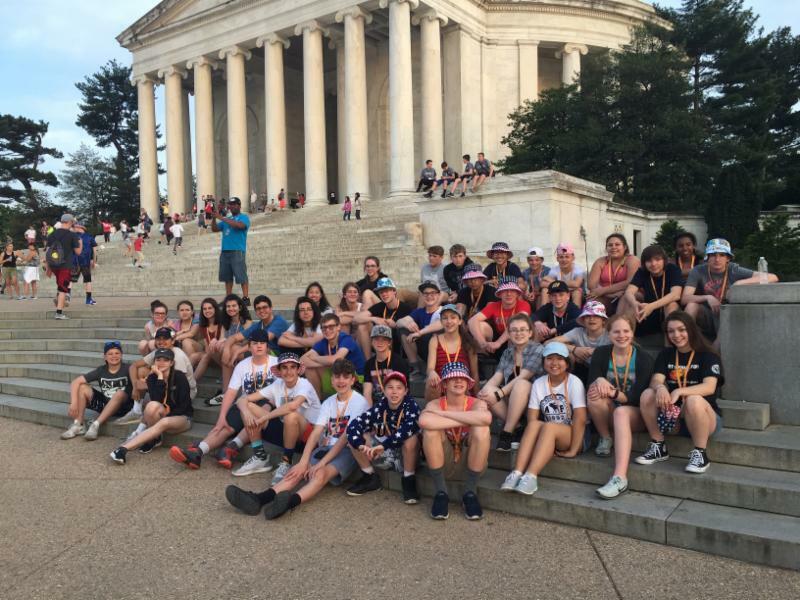 This week's Superintendent's Corner is coming from Washington, DC, where I've been sharing the 8th grade field trip experience for the past several days in balmy 90 degree weather. Monuments, museums, and memorials--oh my! Too many to list, but some of the highlights include the opportunity for our students to speak firsthand with Holocaust survivors and view the recently renovated U.S. Capitol rotunda. It's been a great experience. On Monday, we conducted our districtwide evacuation drill, and it was successful in that it allowed us to practice our procedures and protocols for an emergency. We debriefed with law enforcement and fire and rescue and will make some adjustments to our procedures accordingly. More information about school safety and updates will be sent out in the next couple weeks. Super Ninja Night at the Hales Corners Library is on May 11 and is for learners in K4, K5 and 1 st grade and their families. Click here for more information. International Migratory Bird Day is on Saturday, May 12. Along with the Village Environmental Committee, the library is hosting an event ! Please read this message regarding the upcoming release of season 2 of 13 Reasons Why. State testing is complete at all four buildings. ACT Aspire results for grades 9 & 10 will be released on June 29th, and Wisconsin Forward Exam results for grades 3-8 and grade 10 will be delivered to the district on July 23rd. Information on how to view your students' individual results will be emailed to parents over the summer. This would be a good time to check your Infinite Campus accounts to make sure your email address is up to date. Over the next three weeks, students across the district will be taking their final MAP (K-5), STAR (6-10) and Pals (K4-2) assessments for the year. These short assessments provide teachers with real-time data showing student growth in reading and math throughout the year. The Spring scores will also provide next year's teachers with important baseline information for the new year. The Whitnall Falcon Booster Club board has unanimously voted to cancel this year's Post Prom due to low student participation. It is our hope that the students of Whitnall High School make safe, smart, and responsible choices after Prom. May 9 is the next PTO meeting at 6 PM in the WMS Library. If you would like the PTO agendas and minutes sent to you, email wmspto@whitnall.com, and your information will be placed on the email list. May 15 - Chick-fil-a fundraiser. The flyer is here. All concerts are at 7 PM in the WMS Gym. Coin Wars ("Dollars for Doughnuts") will be next week in each Advisory. The winning Advisory receives doughnuts for their contributions. Bring pennies on Monday, nickels on Tuesday, dimes on Wednesday, quarters on Thursday, and dollars on Friday. Course selection for current 5th, 6th, and 7th grade students is now active. See this page for our video about elective class choices and for the incoming 6th grade registration presentation from April 30th. The last box top prize drawing of the school year will be on Friday, May 18th. Thanks for your support of this program during this school year. Continue to save your box tops during the summer! Our Color Run kick-off was held on Thursday of this week and information packets were sent home with your children. The staff and students are excited for the big event to be held on May 24, 2018. Please be sure to register your student online. Click here for the website. We have new incentives and weekly raffles to celebrate our students' success and hard work. Watch your email for exciting announcements about our fundraising progress! YMCA soccer registration for students in grades 1-4 is underway. For more information, please see the flyer here . Take a moment to read the May HCE PTO Scoops newsletter linked here . We are still in need of Noon Hour Supervisor Substitutes. If you love working with children and are available between 11:30 and 1:15, please contact the office for more information. HCE’s spring spiritwear sale is underway. For more information, click here . The deadline for orders is Sunday, May 13.